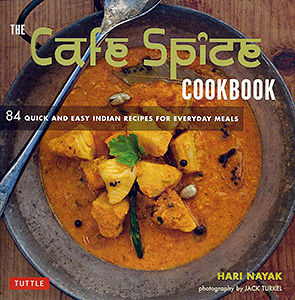 Just three years ago, we had reviewed Hari Nayak’s “My Indian Kitchen.” Now, the author, restaurateur and chef is back with yet another gem, “The Café Spice Cookbook: 84 Quick and Easy Indian Recipes for Everyday Meals.” Like his previous book, Nayak shares some more of his easy-to-follow recipes to create appealing hale and hearty meals in no time at all. Vegetarians will crave to try out such recipes as Kerala-Style Mixed Vegetable Curry, Smoky Fire-Roasted Eggplant, Scrambled Paneer with Chilies and Spicy Long Beans and Potato-Stir Fry. 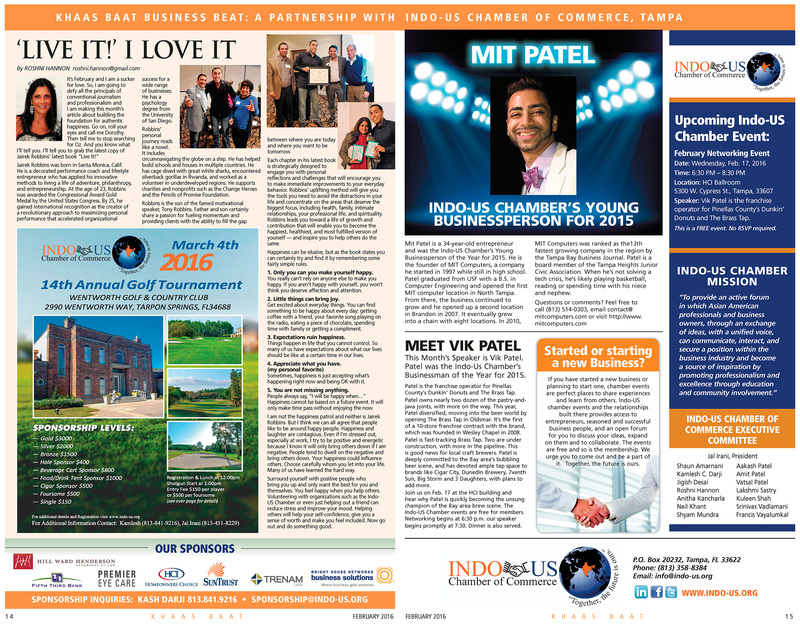 Meat lovers will be inspired to cook Kerala-Style Chicken Stew, Lobster Kadhai, Goan-Style Mackerel and Lamb Shank Korma. You can wash it all down with Chilled Mango Cooler, Carrot Pudding with Nuts, Coconut Fudge, among other desserts and drinks. The kaati roll, as it is called in the eastern city of Kolkata in India, or the Frankie, as the locals of Mumbai know this as, is an extremely popular and fast moving short eat. In fact, today even in certain parts of American cities, you will find small eateries and restaurants selling the kaati roll as known as the Indian burrito. Given below is my version of a healthy and Indo-American kaati roll. Best served with mint chutney and a side salad of crisp greens. Heat the oil over medium heat in a large nonstick skillet. Add the cumin seeds and let it crackle, and then add the ginger, green chili and onion. Sauté gently until the onion is softened and translucent about 2 to 3 minutes. Add the carrot, red pepper, cabbage and mushrooms and sauté for a minute. Add the ground spices and salt, and cook for 2-3 minutes until the vegetables soften slightly. Add the paneer strips (if using) and toss to mix. Remove from the heat and allow to cool. Add the lemon juice and chopped coriander leaves and set aside. To assemble, lay the flat breads on a clean surface, spoon the filling in to the center of the wrap. Fold the ends over and enclose and fold over the sides. Roll up holding the ends to enclose the filling. Serve the wraps warm or cold. This is a wonderful seafood stew with coconut to which I sometimes add firm white fish, mussels or clams. Serve over rice and a green salad. 1 lb (500 g) medium-size shrimp, peeled, deveined. Marinate the shrimp in a mixture of the lime juice, a pinch of the turmeric powder and salt; let it sit for about 30 minutes. In a blender or food-processor grind coconut, coriander seeds, half the sliced onions, cumin seeds, the remaining ground turmeric, garlic, and tamarind pulp to make a really fine and smooth paste. Add a little water to facilitate grinding, which will take 7–10 minutes for a really smooth paste. Heat the oil in a wide large skillet or wok over medium heat. Add the remaining sliced onion, green chilies until it is lightly colored; this takes about 5 to 7 minutes. Add the mangoes, spice paste and sauté over a moderate heat for 6–7 minutes, adding a little water if necessary to prevent sticking. When the oil begins to separate from the spices in the form of little globules on the surface of the paste, add 4 cups of water. Add the green chilies, and salt to taste and cook for 5 minutes. Add the shrimp and cook until done about 5 minutes. Sprinkle with cilantro leaves when serving.